3. 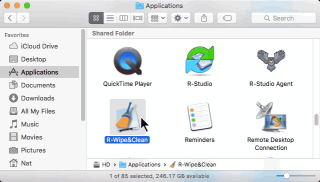 Go to Applications in Finder and double-click R-Wipe & Clean to start the program. 1. 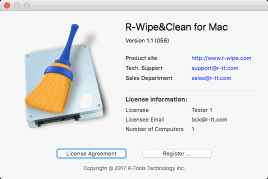 If you want to remove all files that R-Wipe & Clean created during its work, go to Preferences on the R-Wipe & Clean menu, select the Uninstall tab, and click the Prepare R-Wipe & Clean for Uninstall button. 2. 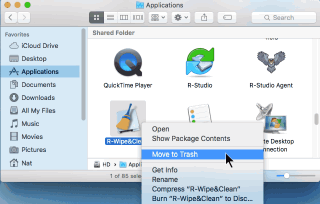 Go to Applications in Finder, control-click R-Wipe & Clean, and select Move to Trash. 2. 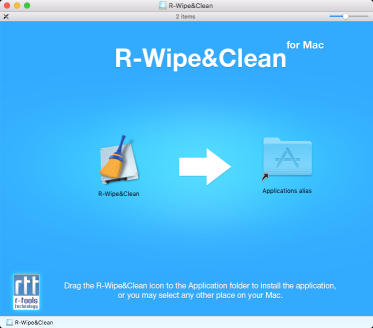 Go to the R-Wipe & Clean menu and select About R-Wipe & Clean.